Say hello to the optivisor — A precision binocular headband magnifier. 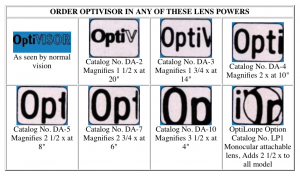 If you`re involved in doing precision handwork in the field of dentistry, surgery, jewellery making, microcircuit assembly or diamond setting, you will be glad to own an optivisor. The Optivisor promotes better vision through magnification while leaving your hands free for work. This means you`ll be free from eye strain and stress, while you work better. 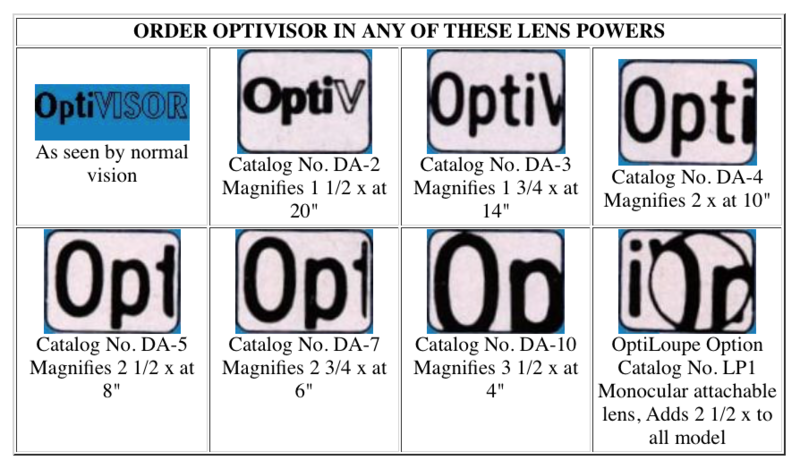 The Optivisor comes with a complete range of optical lenses of the highest quality. You can choose the power that best fits your needs. The Optivisor comprises a headband and a visor that tilts, so you can lift it out of the way when you don`t need it, and adjust it in front of your eyes when you do. Plus, the optivisor has been specially designed to fit over prescription glasses, and the headband can be adjusted for optimum comfort. Get the optivisor to make your life easier and better.